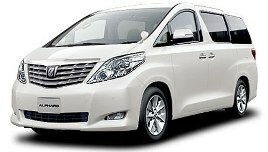 nairobi moshi shuttle bus, Marangu shuttle nairobi to arusha, marangu luxury shuttles nairobi kenya Tanzania, marangu shuttle bus, nairobi-arusha shuttle silver springs, private transfer from nairobi to arusha, Marangu shuttle nairobi, Marangu shuttle nairobi arusha Nairobi Arusha Moshi Luxury shuttle bus, Private shuttles Arusha Moshi Marangu, Kenya Tanzania luxury road transport, marangu luxury shuttles Shuttle bus, bus service, Nairobi, Arusha, Moshi, Jomo Kenyatta Airport, Kilimanjaro International Airport and Marangu Hotels,luxury coaches privtate car hire,we do pick ups from all hotels freely kempinski,Amber Hotel,Sentrim 680,The Boma Nairobi,BEST WESTERN Plus Meridian Hotel,Nairobi Serena Hotel,Eka Hotel Nairobi,The Strand Hotel,Golden Tulip Westlands Nairobi Hotel,ambassadeur Hotel, Boulevard Hotel, Fairview Hotel, Hilton Hotel, Intercontinental Hotel, Nairobi Safari Club, New Stanley Hotel, Norfolk Hotel, private transfers bus Shuttle bus service between Nairobi Namanga Arusha Moshi Marangu shuttle bus daily Jomo Kenyatta Airport(JKIA) and Kilimanjaro International Airport(KIA)shuttle. luxury private transfers nairobi luxury shuttle bus free picks city hotels. Nairobi Arusha Moshi Marangu Dar es Salaam Shuttle bus Nairobi -Jomo Kenyatta Airport-Arusha- K.I.A. Regional luxury shuttle & tours is a company offering shuttle bus services between Nairobi, Arusha, Moshi, Marangu Hotel , private car hire transfers, wildlife Safaris Tanzania/Kenya and Mountain trekking,Nairobi to Arusha is 280km, Nairobi to Moshi is 380km,Nairobi to Marangu is 420km, it about 4 hrs traveling from Nairobi to Arusha and 6 hours traveling from Nairobi to Moshi. On transit and have a few hours to spend on an excursion? Try the only national park in the world that is situated in a capital city, the Nairobi national park or have a drive to the historical blue post in Thika. All these and more can be organized to suit your time frame from as short as three hours to one and a half days. Why pass Kenya without a bit of its promising experience? Thika town is 45kms from the city centre and within the town you find the Blue Posts Hotel. The hotel was first established in 1908 as a stopover for the white settlers who farmed and lived in the central part of the country on their way out and back to the city. During the Second World War in 1939 the British Army camped on the site and built up a few bandas whose posts they were standing on were painted blue and this is where the name Blue Posts originated. Today two rivers namely Thika River and Chania River each with a natural waterfall surround the hotel popularly known as ‘Hidden Jewel of Thika’. Both rivers originate from the Aberdare Ranges though from different sources. The tour covers the modern city centre, the National Museum and the adjacent Snake Park, Parliament Buildings, the Railway Museum where old steam locomotives are exhibited including the one from which Superintendent John Lyall was taken from by a man-eating lion in Tsavo in 1901. You will also visit the city market where a wide variety of African curios and tropical fruit and flowers are on sale, ending with a visit to the Kenyatta International Conference Centre view-point which has a revolving restaurant. This unique wildlife sanctuary is just a few kilometres from Nairobi’s bustling city centre but despite its proximity over 50 species of mammals can be found there including four of the ‘big five’. The tour also includes a visit to the animal orphanage where wounded or orphaned animals are nurtured back to health. The tour returns to the city centre by sundown. Drive towards Ngong Hills by passing the Ngong village to the Karen Blixen Museum of the ‘Out of Africa’ fame, which was for many years her home. Later proceed to the Giraffe Centre to view and feed the famous Rothschild’s giraffe which is an endangered species from a specially constructed viewing-platform. Nairobi has many restaurants offering a wide variety of cuisine. We recommend a dinner or lunch at the Carnivore, which is famous for its succulent steaks and barbecue, dishes including game meat and is therefore dubbed ‘the meat eaters’ paradise. The restaurant also offers a vegetarian menu; the meal is an excellent complement to a holiday especially as a welcome or farewell dinner. The cost includes transfers to and from Nairobi City Centre. A ‘Boma’ is a homestead and just a few kilometres from Nairobi we have the Bomas of Kenya where the day-to-day lives of the 42 different ethnic groups in Kenya are depicted through traditional dancing, music, song and folklore. These plus an acrobatic show are performed in a splendid arena. Lake Nakuru lies in the volcano-strewn Rift Valley, one of a chain of 8 lakes, which stretch the length of Kenya from Tanzania to Ethiopia. The 160 km drive from Nairobi passes through highland farms of the Kikuyu people before descending the escarpment into the dramatic landscape of the Rift. Lunch is taken in the Park and is followed by an extensive tour which focuses on the bewildering spectacle of a million flamingos but which also seeks out the large variety of wildlife with which the park abounds. On the tea break among the fever trees bird watchers will delight in the fantastic array of bird life. The tour ends in Nairobi in the late evening. Leave Nairobi City ––“The concrete Jungle” and drive westwards stopping at the viewpoint on the Great Rift Valley and view the Loita Plains and also from here you can see Lake Naivasha sparkling in the sun thousands of feet below. Then proceed to Lake Naivasha (and this is the highest Lake in The Rift Valley). Also Lake Naivasha is famous in the 1930’s as a staging post for Imperial Airways Flying Boat Services from Durban to London. You can have a boat ride to the Crescent Island (Optional activity). N.B. Crescent Island is one of the few places in all Africa where you can wander on foot among herds of zebra, wildebeest, gazelle, and giraffe, because of the absence of predators. Depart early in the morning and drive through the Rift Valley (with lunch in Naivasha). Proceed to Hell’s Gate National Park past Fishers Tower. You will visit the Geothermal Power Plant at Ol Karia and the Hot Springs. Hell’s gate is the only park that officially allows transport by walking and bicycling. The small perimeters of the park give you a chance to see a variety of wildlife. Hereafter you’ll return back to Nairobi.